Complete with the spartan red pants and the iconic lightweight sweatshirt that Will Ferrell and Cheri Oteri made iconic on Saturday Night Live and you'll be sure to bring the cheer whether attending a Halloween party, or just spicing up a Friday night. You didn't make your schools cheerleading squad? No problem, you can still show your school spirit for East Lake High with this Saturday Night Live Spartans t-shirt. Join Arianna (Cheri Oteri) and Craig (Will Ferrell) and form your own squad. This Exclusive Saturday Night Live sweatshirt will have your friends laughing out this halloween. This back, sweatshirt is made of 50% Poly / 50% Cotton. Be sure to check out our Size Chart to get an idea of the average size and dimensions of this sweatshirt Saturday Night Live Spartan Cheerleader Costume sweatshirt style. 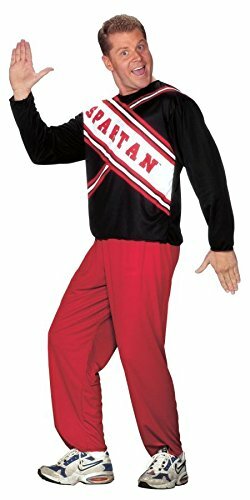 Our SNL Spartan Cheerleader Costume features a mens Spartan Cheerleader top with imprinted logo and red pants. This is an officially licensed costume from SNL. Uh-huh, uh-huh. Uh-huh, uh-huh, uh-huh! Craig is the ultimate Spartan Male Cheerleader who has successfully conquered The Perfect Cheer. 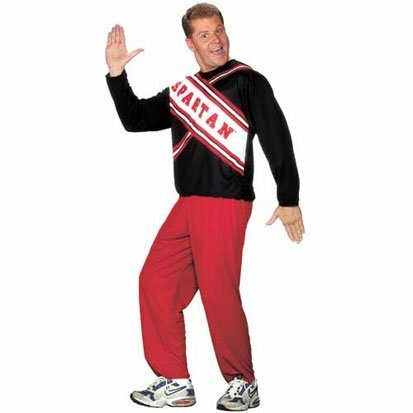 From the famously hilarious SNL skits, Spartan Spirit adult male Cheerleader costume includes top with imprinted logo and red pants. Complete the outrageous couples costume with Arianna, the Spartan Female Cheerleader. Officially licensed NBC's Saturday Night Live costume. 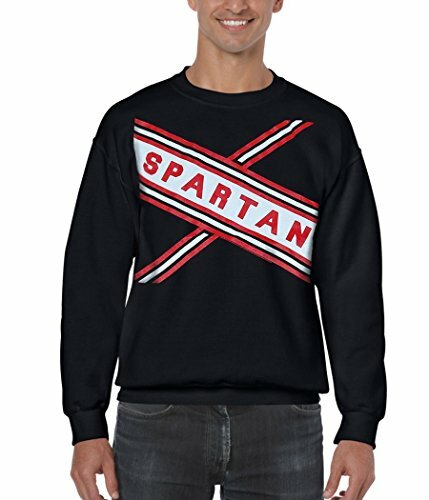 Spartan Male Cheerleader is available in Adult Standard Chest Size 33-45. Saturday Night Live Handsome Hard Backed Fridge Magnet measures 2.5-Inch width by 3.5-Inch height and comes individually wrapped in a cello bag with the trademark "SNL" logo on front. Live from New York, It's Saturday Night. Spartan Cheerleaders first aired in 1995, Season 21. 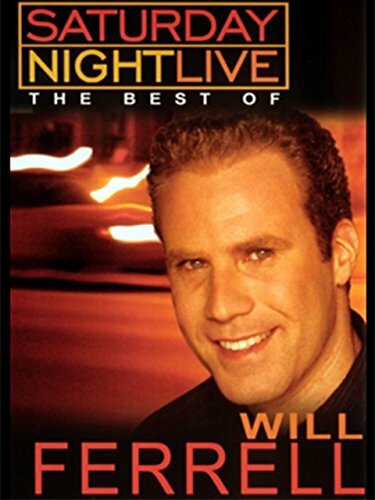 Will Ferrell and Cheri Oteri play Craig and Arianna, a pair of overly-spirited cheerleaders who show up uninvited to all sorts of events where they enthusiastically perform bizarre and inappropriate cheers. In the skit's first episode, viewers learn that the two have previously been rejected by their own school's cheerleading squad, but made off with the school's uniforms to begin cheering on their own. Saturday Night Live Spartan Cheerleaders 96 Pages creative multi-use A5 notebook has a wonderful full-color illustration on the front, 3 memorable quotes printed in full-color on the inside covers, convenient back pocket, elastic closure, 96 assorted pages included lined, blank and grid layouts featuring historical Saturday Night Live logos. Quotes read: "This place has everything: Sand worms, geishas, rock-eaters... gauze, carnival barkers.... human fire hydrants... winos, germfs - German smurfs... and none other than DJ Baby Bok Choy. 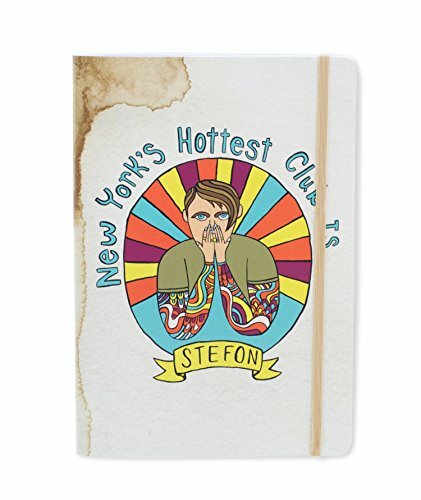 ", "New York's hottest club is Crease" and "If you want to relax, you can kick back in your very own subway sleeping bag. ""Live from New York, It's Saturday Night." Spartan Cheerleaders first aired in 1995, Season 21. 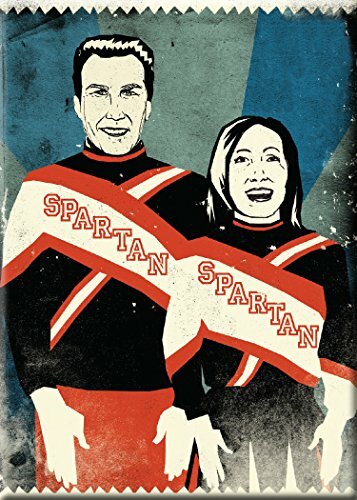 Will Ferrell and Cheri Oteri play Craig and Arianna, a pair of overly-spirited cheerleaders who show up uninvited to all sorts of events where they enthusiastically perform bizarre and inappropriate cheers. In the skit’s first episode, viewers learn that the two have previously been rejected by their own school’s cheerleading squad, but made off with the school’s uniforms to begin cheering on their own.